When you talk to a loan officer at TMC Home Loans they will take your basic information to get started. We will pull your credit and review it. Once we have done that, we will need to verify your income. You will be asked to send us 1 month of current paystubs and your tax returns for the last 2 years. How long is a pre-approval good? A pre-approval it usually good for 3 months. After that, we will have to update your credit. TMC Home Loans will only lock your interest rate once you have a contract in place. What if rates go down after I lock my interest rate? Generally, most lenders are willing to renegotiate if rates go down. This is handled on a case-by-case basis. How long does the loan process take from start to finish? It is typical from the time you have a signed contract to closing to take about 30 days. USDA loans require a little more time. They usually take around 45 days. TMC Home Loans will order the appraisal. The appraisal is ordered through an appraisal management company. They assign the appraiser. Once the appraisal is finished we are sent a copy of the report. When TMC Home Loans receives the appraisal we will forward that to you for your review. TMC Home Loans will also order the survey. We try to wait until we have underwriting approval and the appraisal before ordering the survey. We will provide you with a copy of the survey at closing or before, if requested. When do I get my inspection? You should order your inspection as soon as you have a contract. Your real estate agent will assist you in getting this done. Your agent will have several different inspectors for you to choose from. You can also find your own inspector. 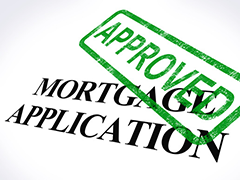 Most loan programs do not require that you get an inspection, but getting an inspection is a great way to protect yourself from unseen problems with a house. What will I need to bring to the closing? At closing you will need to bring a cashier's check for your down payment and closing costs. We will tell you in advance the exact amount you will need to bring. You will also need to bring your driver's license or a valid form of ID. How do I know how much to bring to closing? TMC Home Loans will tell you at the beginning of the process an estimate of how much you should be ready to bring to closing. After the loan is ready to close and closing papers are at the title company TMC Home Loans will call you to tell you the exact amount you will need to get in a cashier's check for closing.